As the economic downturn continues to bite and companies in every sector, public or private, continue to drive for efficiency savings with cuts and layoffs, the idea of employing disabled people can seem an odd one to a lot of employers. Their line of thought runs like this: employing people is expensive enough without having to take special consideration for someone’s needs. But this negative perception is completely at odds with the facts. Thanks to the great inroads made by the increase in learning disability support in the UK, more and more disabled people are active in the work place than ever before. Although the tabloids might decry this as “political correctness gone mad” there is an ever growing mountain of evidence that disabled employees are just as productive as their able bodied counterparts. 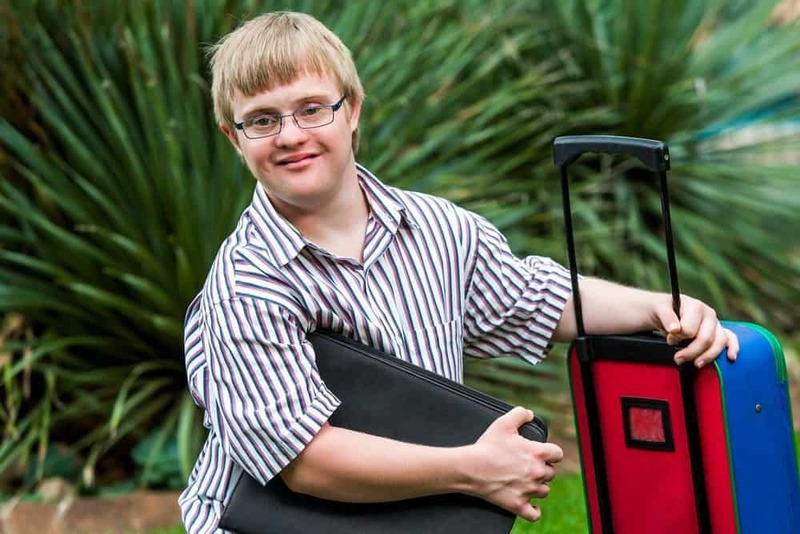 One of the most often cited reasons for not employing those with disabilities is the perceived extra costs involved, such as making alterations to the workplace to accommodate the person’s disabilities. In fact, research shows that only 4 per cent of disabled employees actually cost a company any money and the average cost is a paltry £200. Thanks to the wide array of grants available, including learning disability support programmes to help with training, much of any costs can be covered without any expense at all. Another commonly quoted possible problem is absenteeism due to complications around the potential employee’s disability. Again, all the evidence indicates that disabled employees actually take less sick days and have better attendance records than able-bodied workers. Remember that most disabled people have been excluded from the work place for much of their life, and yet one of the most common desires among the disabled is to have a job and be self-sufficient. This means disabled workers take nothing for granted and throw themselves into their work and their managers routinely report that they have an excellent work ethic and positive attitude. Studies also show that disabled staff will stay with one employer for much longer than other employees. Not only does this benefit the company in the retention of a skilled employee, but it also reduces the inherent costs in recruitment and training of new staff. Employing disabled people has also been shown to improve able-bodied employees’ perceptions of their company, and also those of people outside the business. By fostering a positive image of your company it can attract more people to work for you and do business with you. The steady increase in awareness and acceptance of disabilities, as well as learning disability support, means that disabled people are now able to be productive in the workplace. It benefits them, it benefits society and it could benefit your business too. My son is disabled and running a business of my own means that I have to work around his care and hospital visits. I think I would find it very difficult to work for another small business with my circumstances. It is much easier for big companies or local authorities to make allowances required for leave and staff cover. The Government need to increase the support given to people with disability and caring responsibilities in the workplace in my opinion. At the moment many people are afraid to do any sort of work because of the affect on their benefits and/or being labelled as a ‘faker’. They should make the system much more flexible and educate the public about fluctuating illness, so that people who can work occasionally are able to without fear. Employing disabled workers is also proven to boost the morale of your whole workforce. Accessibility improvements where required will also usually have a positive effect on customers as well as employees. I think the core problem is that many businesses are unsure of exactly how much support they will get with any costs they incur for alterations. Since the requirements are specific to the disabled employees needs as well as the work environment, I can’t really see how to resolve the financial worries of employers. All you can do is work on changing attitudes and perhaps removing a bit of the stigma.